In the early 1990s, nostalgic users wrote software emulators to relive the “vintage” experience of their old Commodore 64 or Apple II. Others preferred the actual hardware and began collecting classic computers. As their old machines occasionally broke down, people began cultivating the art of computer diagnosis and repair into a new form of retrocomputing. Next to software emulation and hardware maintenance, a third strain of retrocomputing has emerged: designing and building your own system from a “bag of chips” and a circuit board. It is easy to create a functional computer on a little circuit board—considering all the information now available on the Internet. These retro machines may not have much practical use, but the learning experience can be tremendously valuable (see Photo 1). Hobbyists with no background in electronics somehow pick up the required skills, and they often share their homebrewing experiences online. Although some of their creations are stunningly exotic, most people build simple machines. They use a CPU and add RAM, ROM, a serial port, and maybe an IDE interface for mass storage. And most hobbyists run either BASIC (e.g., the 1980s home computers) or use a “vintage” OS such as CP/M. Running CP/M, in fact, is a nice target to work toward. A lot of good software ensures your homebrew computer can do something interesting once it is built. As the predecessor of MS-DOS, CP/M also provides a familiar command-line interface. And it is simple. A few days of study are enough to port it to your circuit board. Still, one challenge remains: If you want homebrewing to be an enduring hobby instead of a one-off project, you should have some perspective beyond putting together a minimal computer and switching it on. Working on your own, it can become progressively more difficult to take the next steps (i.e., building graphics subsystems or using exotic processors) or to add state-of-the-art microcontrollers to create “Frankenstein” systems (i.e., blends of old and new technology that can do something useful, such as automate your home). This is where the N8VEM Google group comes in. 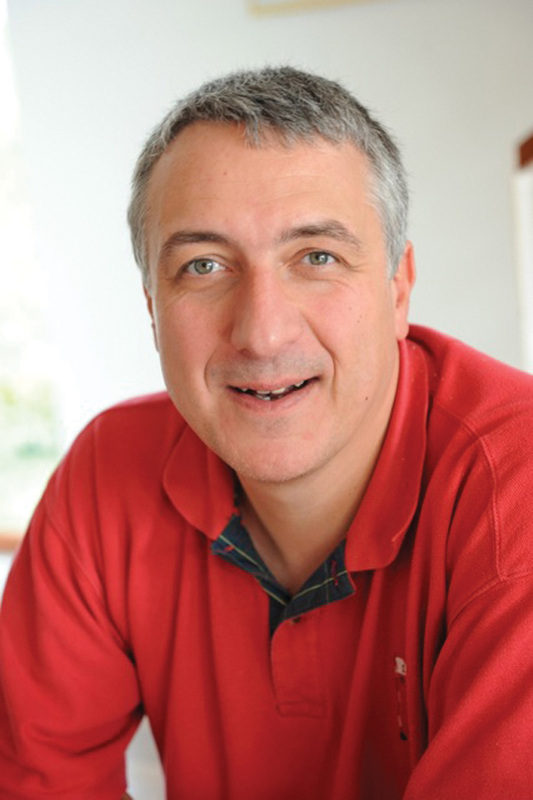 In 2006, Andrew Lynch published his own single-board CP/M design to engage and involve others. He intended the N8VEM (named after his ham radio license) to be expandable with add-on cards. Soon after, an informal collaborative effort emerged around a Google mail group. A website was set up to share the hardware and software produced. Builders with a range of skills became involved, from well-known systems builders to beginners. They bought Lynch’s $20 circuit board and ordered the required electronic components and a soldering iron from an online electronics distributor. After two days of wielding the soldering iron, they could create a CP/M computer that uses ROM and RAM disks for storage and has plenty of built-in vintage software. The design can be expanded into a “powerful” (we use the term lightly here) multiprocessor system with “blinkenlights,” hard disks, graphics subsystems, and various OSes. People also started to build miniaturized variants, PC/XT clones, and 32-bit machines. However, N8VEM is not about soldering kits. It is about joining in, trying new things, and picking up skills along the way. These skills range from reading schematics to debugging a computer card that does not operate as intended. The learning curve may be steep at times, but, because the N8VEM mail group is very active, expert help is available if or when you get stuck. There is nothing preventing you from plugging in your own CPU board design. But if you do, you’re not forced to develop all the other expansion boards on your own. As the novelty of designing a simple single-board computer (SBC) wears off, you may prefer to focus your energy on exploring graphics systems or ways to hook up 8-bit machines on the Internet. Or, you may want to jump into systems software development and share your experiences with a few hundred others. Retrocomputing is not always backward-facing. Making “Frankenstein” systems by adding modern Parallax Propeller chips or FPGAs to old hardware is a nice way to gain experience in modern digital electronics, too. Photo 2—This is the N8VEM in its $20 stand-alone incarnation. 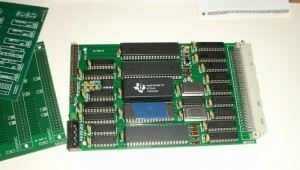 Even without any other boards, this SBC provides sufficient I/O and storage options to be a full-fledged CP/M computer. At 10-cm × 16-cm (roughly 4” × 6”), the N8VEM computer does not look particularly impressive (see Photo 2). However, it provides all the capabilities of an early 1980s commercial microcomputer. In fact, thanks to CP/M, it is software-compatible with those microcomputers, offering a range of good programming languages (e.g., BASIC, C, Pascal, and Assembler). Excellent editors (e.g., ZDE) and word processors (e.g., WordStar) are also available. You could also run simple spreadsheets, databases and interactive games (e.g., Zork). The small-sized N8VEM makes one concession to modern-day electronics: It uses a single, high-capacity RAM chip. All the other electronics are components that would have been used “back in the day” (e.g., simple 74LS logic chips, a Z80 microprocessor, and classic interface chips). A battery backs up the N8VEM’s memory; therefore, the RAM disk is a practical storage mechanism, especially because a ROM disk comes with most essential software installed. Use the N8VEM with a serial terminal, or (more likely) with a PC terminal program. The XMODEM protocol enables files to be transferred to and from the N8VEM. Only a few tools are necessary. Although, for many, building an electronics lab is part of the fun. A good soldering iron, an inexpensive “solder sucker” to correct mistakes, and a multi-meter are absolute requirements. 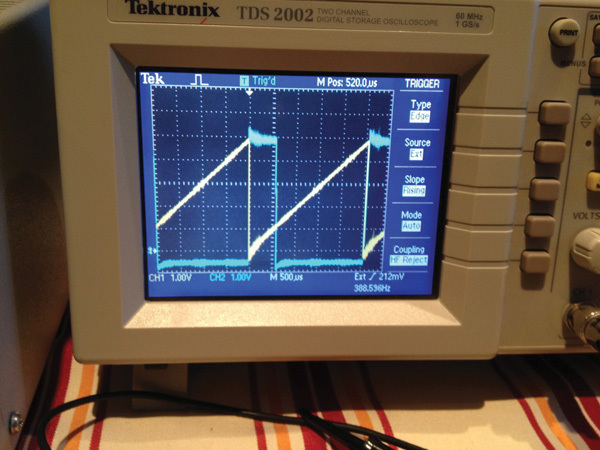 A secondhand oscilloscope is a useful additional tool. A logic analyzer can also be a big help by enabling you to simultaneously inspect multiple signals and determine what is wrong. Old logic probes are expensive and cumbersome. New designs (e.g., Saleae’s Logic 8-channel USB logic analyzer) are inexpensive and better. At some point you will need an EPROM programmer, unless you want to depend on others to burn EPROMs for you. Ensure you have a programmer that can deal with a range of (E)EPROMs, as N8VEM boards use many types. Finally, a laboratory power supply is a wise investment, mostly because it has a current limiter that cuts power when a short circuit could otherwise blow up your board. Editor’s Note: This is an excerpt from an article written by Oscar Vermeulen and Andrew Lynch, “DIY Single-Board Computers (Part 1): Design and Expansion Options,” Circuit Cellar 276, 2013. Nonetheless, there exists a “retrocomputing” subculture that resurrects older computer hardware and software in DIY projects. It may be sentimental, but it can also be instructive. In their two-part series beginning in July in Circuit Cellar, Vermeulen and Lynch focus on that strain of retrocomputing that involves designing and building your own computer system from a “bag of chips” and a circuit board. Part 1 describes a simple single-board CP/M design that uses just one high-capacity RAM chip and is compatible with a serial or PC terminal. 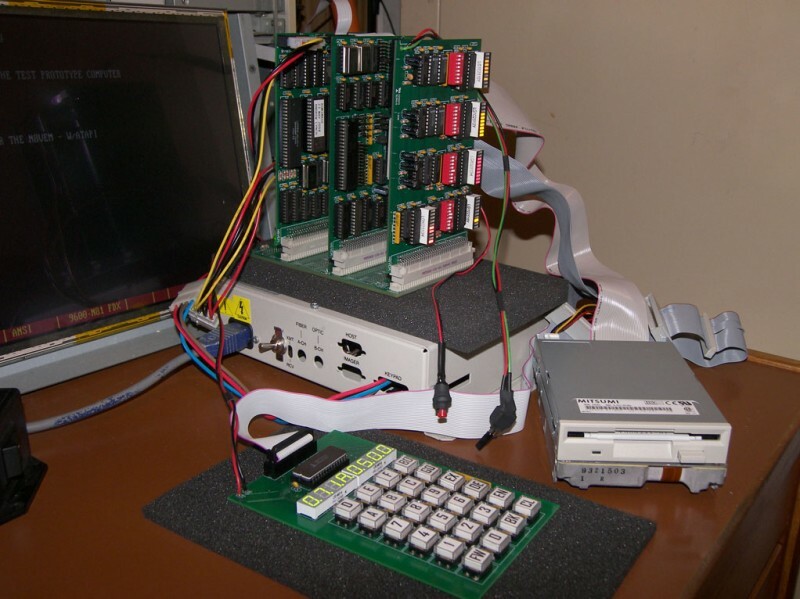 Here is a homebrew N8VEM system with a single-board computer (SBC) and disk/IDE card plugged into the ECB backplane. Some “homebrewed” computer creations can be “stunningly exotic,” according to Vermeulen and Lynch, but most people build simple machines. “They use a CPU and add RAM, ROM, a serial port, and maybe an IDE interface for mass storage. And most hobbyists run either BASIC (e.g., the 1980s home computers) or use a “vintage” OS such as CP/M. But some Circuit Cellar readers may want more from a retrocomputing experience than a one-off project. In that case, there are online resources that can help, according to the authors. 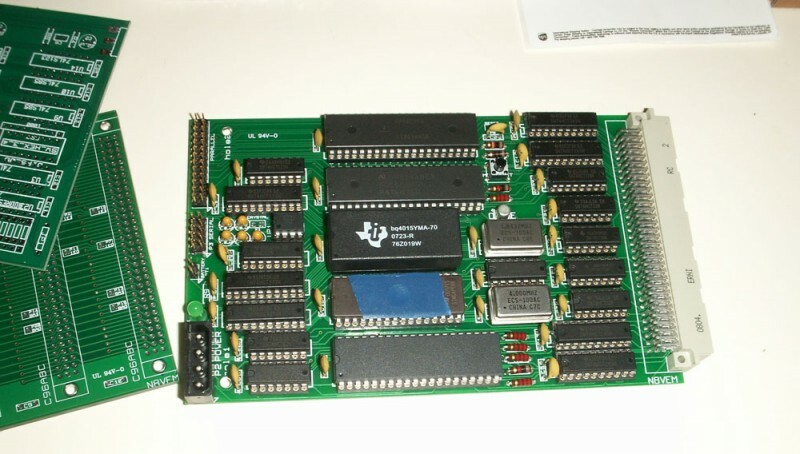 Part 1 of their article introduces a solid online resource for taking retrocomputing to the next level–the N8VEM Google group, which provides a single-board CP/M design meant to engage others. This is the N8VEM in its $20 stand-alone incarnation. “N8VEM is not about soldering kits. It is about joining in, trying new things, and picking up skills along the way. These skills range from reading schematics to debugging a computer card that does not operate as intended. The learning curve may be steep at times, but, because the N8VEM mail group is very active, expert help is available if or when you get stuck…. “As the novelty of designing a simple single-board computer (SBC) wears off, you may prefer to focus your energy on exploring graphics systems or ways to hook up 8-bit machines on the Internet. Or, you may want to jump into systems software development and share your experiences with a few hundred others. For more, check out the July issue of Circuit Cellar for Part 1 of their series. In Part 2, scheduled for publication in August, the authors provide a technical look at the N8VEM’s logic design. It also provides a starting point for anyone interested in exploring the N8VEM’s system software and expansion hardware, according to Vermeulen and Lynch. Pop quiz: What was the first microcontroller to leave the Earth? Find out the answer in Jan Buiting’s new “Retronics” webinar. Check out the video below. If you read Circuit Cellar and Elektor magazines, you likely have as much passion for old-school electronics as you do for he new, cutting-edge technology you find at events such as the Embedded Systems Conference. Elektor editor Jan Buiting is well-known for his love of both new and old technology, and in his Retronics webinar series he presents some of his favorite old-school technologies. Want to give your MP3 player vintage tube sound? You can with the proper circuits, an antique radio, and a little know-how. In addition to generating amazing sound, the design will be an eye catcher in your home or office. Here I present excerpts from Bill Reeve’s article, “Repurposing Antique Radios as Tube Amplifiers,” in which he provides vintage radio resources, simple circuit diagrams, and essential part info. He also covers the topics of external audio mixing and audio switching. The article appeared in the May 2012 edition of audioXpress magazine. Manufactured from the 1930s through the 1960s, vacuum tube radios often contain high-quality audio amplifiers at the end of their RF signal chain. You can repurpose these radios into vintage, low-power tube amplifiers—without marring them in any way or detracting from their original charm and functionality as working analog radios. Wood-cased radios have especially good sound quality, and the battery compartments in antique “portable” radios (like the Philco 48-360 or the Zenith Transoceanics) provide perfect locations for additional circuitry. When restored properly, large furniture-style radios that were built for “high fidelity” (like the late 1930s and early 1940s Philco console radios) can fill a room with rich beautiful sound. The simple circuits described in this article perform two functions. They mix an external line-level stereo signal (typically from an MP3 player or computer) and reference it to the radio’s circuit. They also use the radio’s on/off knob to switch this external signal to the radio’s audio amplifier. There is not one circuit that will work for every antique radio. (Original schematics for antique tube radios are available on the web www.justradios.com). But the circuits described here can be adapted to any radio topology. All the parts can be ordered from an electronics supplier like Digi-Key, and the circuit can be soldered on a prototyping printed circuit board (such as RadioShack P/N 276-168B). Figure 1 and Figure 2 show some examples of circuit schematics that mix the line-level stereo audio signals together (almost all tube radios are monophonic), while providing galvanic isolation from high voltages within the radio. Figure 1 shows an inexpensive solution suitable for most table-top radios. These radios have relatively small speakers that are unable to reproduce deep bass, so an inexpensive audio transformer (available from on-line distributors) does the job. I picked up a bucket of Tamura TY-300PR transformers for $0.50 each at an electronics surplus store, and similar transformers are commercially available. Alternatively, the Hammond 560G shown in Figure 2 is an expensive, highquality audio transformer suitable to high-fidelity radios (like the furniture-sized Philco consoles). A less expensive (and fine-sounding) alternative is the Hammond 148A. I use Belden 9154 twisted, shielded audio cable for wiring internal to the radio, but twisted, 24-gauge wire will work well. An 8′ long audio cable with a 3.5-mm stereo jack on each end can be cut in half to make input cables for two radios, or you can use the cord from trashed ear-buds. You can route the audio cable out the back of the chassis. Photo 1 is a photograph of a 1948 Philco portable tube radio restored and used as an MP3 player amplifier. After creating the mixed, radio-referenced signal, the next step is to build a circuit that switches the voltage driving the radio’s audio amplifier between its own internal broadcast and the external audio signal. Figure 3 illustrates this audio routing control using the radio’s existing front panel power knob. Turn the radio on, and it behaves like the old analog radio it was designed to be (after the tubes warm up). However, if you turn the radio off, then on again within a few of seconds, the external audio signal is routed to the radio’s tube amplifier and speaker. The circuit shown in Figure 3 uses a transformer to create the low voltage used by the switching circuit. There are many alternative power transformers available, and many methods of creating a transformerless power supply. Use your favorite…. The next photos (see Photo 2a and Photo 2b) show our additional circuit mounted in the lower (battery) compartment of a Zenith Transoceanic AM/shortwave receiver. Note the new high-voltage (B+) capacitors (part of the radio’s restoration) attached to a transformer housing with blue tie wraps. Click here to view the entire article. The article is password protected. To access it, “ax” and the author’s last name (no spaces). CircuitCellar.com and audioXpress are Elektor International Media publications. Elektor’s June issue is going to be a classic. You’ll read about a wide range of topics from a Nixie thermometer/hygrometer to a PIC programmer solution to an Intersil IMS6100 vintage dev kit. And much more! Watch the video below, and be sure to check out the Nixie tubes at the 6:50 min mark. 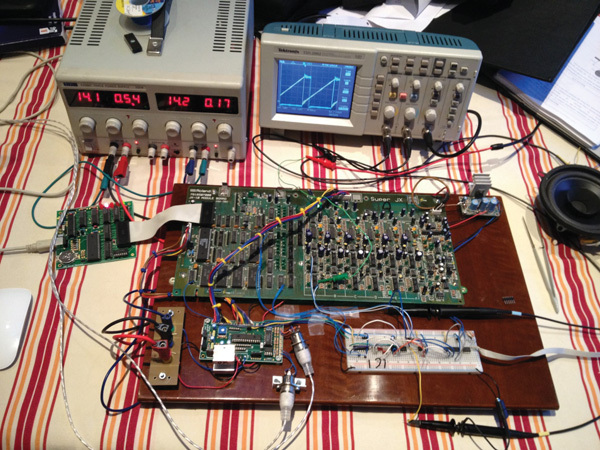 Preamplifier 2012 (3): A discussion of the LLLL board, the switch boards and the power supply board. Flexible Stepper Motor Driver: If you have concerns about connecting a stepper motor driver to your PC, consider building this one with full electrical isolation. Computer-driven Heliostat: Here’s software and some electronics to enable you to use inexpensive servos to track the sun. Weekly Elektor Wrap Up: Thermometer with Giant Display, AVR Software-Defined Radio Webinar, & More! It’s time to review what our Elektor colleagues in The Netherlands, France, and beyond worked on and covered this week! As usual, they’ve been quite busy working in the Elektor lab, organizing webcasts, prepping for Design West, and assembling upcoming issues of Elektor magazine. The following is a wrap-up of some of the many things Elektor staffers covered and worked on this week. Below is a video of a thermometer with a giant display. The electromechanical display was recovered from a ’60s-era pinball machine. On the event front, Elektor Academy and element14 have teamed up to bring you a series of exclusive webinars covering blockbuster projects from recent editions of Elektor magazine. Participation in these webinars is completely free! All you need to do is register via www.element14.com/community/events/3258. 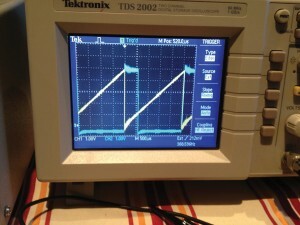 The “AVR Software-Defined Radio” webinar takes place Thursday, March 9, 2012. Click here for more information. Elektor also reported some interesting electronics news this week. The items that will most interest Circuit Cellar readers are an Uninterruptible Power Supply in a Chip and a Python-Based Tool for Diagnosing Dead-Core Boards. CircuitCellar.com is part of the Elektor group. Want tips on designing electron tube amplifiers? Fundamental Amplifier Techniques with Electron Tubes might be the book for you. The author, Rudolf Moers carefully details the science of hollow-state design as applied to amplifiers and power supplies. Back in the 1950s and 1960s, if you wanted to learn about vacuum tube amplifiers, you could read the Radiotron Designer’s Handbook, a 1,500-page behemoth that covered all kinds of vacuum tube circuits that were known at the time, and also included abundant information on passive components as well. Or you could use the introductory material and example schematics in the RCA Receiving Tube Manual—much shorter and less expensive, and also far less comprehensive. Of course, it did include data on most tubes then being manufactured by RCA. If you just wanted to build your own amplifiers, but were not interested in designing, there was the Mullard Circuits for Audio Amplifiers. For a more scholarly approach, you could check out an electrical engineering textbook such as Analysis and Design of Electronic Circuits by Paul Chirlian. Now, however, things are different. Although some of these references can be found on the Internet, they are no longer up-to-date. Happily, however, Elektor recently published Fundamental Amplifier Techniques with Electron Tubes by Rudolf Moers, which presents a 21st-century perspective on the science of hollow-state design as applied to amplifiers and power supplies. Beginning with the principles of electron emission, the book progresses through standard vacuum tube varieties: diodes, triodes, tetrodes, and pentodes, after which it covers such general principles as frequency dependent behavior, non-linear distortion, noise, and negative feedback. The book concludes with a chapter on the construction of electron tube amplifiers. Unlike many of the earlier authors of books on electron tubes, Moers is not constrained by a need to cover such specialized tubes as pentagrid converters, or circuits specifically used in radio and TV receivers. Instead, he uses his 800 pages to discuss the physics underlying electron tube operation far more comprehensively than did any of his predecessors. He does this in a way that maximizes presentation of principles while minimizing unnecessary mathematics. In many cases, the physical explanations can be skipped over by those whose only interest is design methods. For the reader who does take advantage of the physical explanations, Moers’s inclusion of an eight-page listing/definition of mathematical symbols makes the explanations easy to follow. The focus is by no means primarily on physics, however. None of the classic texts provides anything like so comprehensive coverage of the design and operation of half- and full-wave rectifier/filter circuits, or vacuum tube phase shifters, to mention a couple of examples. Moers’s book assumes that the reader is familiar with basic DC and AC circuit theory, and therefore does not undertake the task of educating those who lack this understanding. The book is written from a scientific perspective in that, while mentioning the disconnect between measured and perceptual performance of an amplifier, the author makes no dogmatic claims about the relationship between the two, other than to opine that most of the “tube sound” results from harmonic distortion components that some people find pleasing to the ear. (Having followed this discussion for about four decades, your reviewer partially concurs, but believes that there are other elements involved as well.) The author lightheartedly introduces the quantity “cm2 of gooseskin/watt” as an example of a measurement of perceptual phenomena. A consequence of Moers’ scientific approach is that specific catch phrases found in many amateur-oriented publications on tube technology are conspicuously absent. For example, it is difficult to read much about tube power amplifiers without noticing mention of the “Williamson amplifier.” This circuit was developed by D. T. N. Williamson and described in articles in Wireless World in April and May, 1947. It was unique in that it applied negative feedback around the entire amplifier, including the output transformer, thus reducing nonlinear distortion. Doing this required very careful design to ensure stability, including the elimination of interstage transformers such as the phase splitter transformer used in many prior designs. Moers does not mention the Williamson amplifier by name, but the vacuum tube phase splitter design Williamson used is discussed in detail in the book, as is the method of designing a negative feedback loop encompassing the entire amplifier. Moers also gives a unique explanation of another pivotal power amplifier circuit: the ultralinear circuit invented in 1951 by Hafler and Keroes. It’s a case of content versus jargon. In his otherwise excellent discussion of damping factor, Moers unfortunately makes the all-too-common error of ignoring the effects of voice coil and lead wire resistance. He gives the common equation for damping factor: DF = (loudspeaker impedance)/(amplifier output impedance). Since the amplifier (modeled as an AC generator or Thevenin source), voice coil resistance, lead wire resistance, voice coil inductance, and reflected mechanical impedance form a series circuit whose actual damping is influenced by all elements, the lead wire resistance and voice coil resistance cannot be ignored. In fact, they can easily swamp the effects of the amplifier output impedance, at least for a pentode stage using negative feedback. However, Moers does not make the further error of insisting that the damping factor be a minimum of 100 as have some earlier authors. Using an 8-Ω speaker having about 6-Ω DC resistance, the effect of a combined output impedance and lead wire resistance less than 0.5 Ω is negligible. Two shortcomings of Fundamental Amplifier Techniques with Electron Tubes are more or less linguistic. English may well be the only Germanic language in which the verb in a sentence is not at the end of the sentence required to come. Thus syntactical intrusions from the author’s native language sometimes make the text difficult for native English speakers. Also, Moers has chosen to use terminology that is probably not standard in English (at least American English) books on electronics. For example, he uses the term “ anode static steepness” to denote “transconductance” (also commonly called “mutual conductance.”) A common-cathode (or “grounded-cathode”) amplifier stage is called a “basic cathode” stage in Moers’ book. These three small complaints pale in the face of the outstanding job the author has done in bringing together the theory, design, and practice of vacuum tube amplifiers in a single volume. Anyone who wants to go beyond the Heathkit level of tube amplifier understanding owes it to him/herself to buy and study this excellent volume. If you’re interested purchasing the book or learning more about it, click here to visit the book’s webpage in the CC Webshop. Fundamental Amplifier Techniques (by Rudolf Moers), audioXpress, and CircuitCellar.com are Elektor group publications.